Flying Squirrel takes ownership or every cup of artisanal coffee they produce. Flying Squirrel claims to be India’s only true artisan coffee company. They have a greater stake to this claim than most, as they own the plantation land the beans are grown on and control every stage of coffee production, including planting, processing, packaging, and distribution. 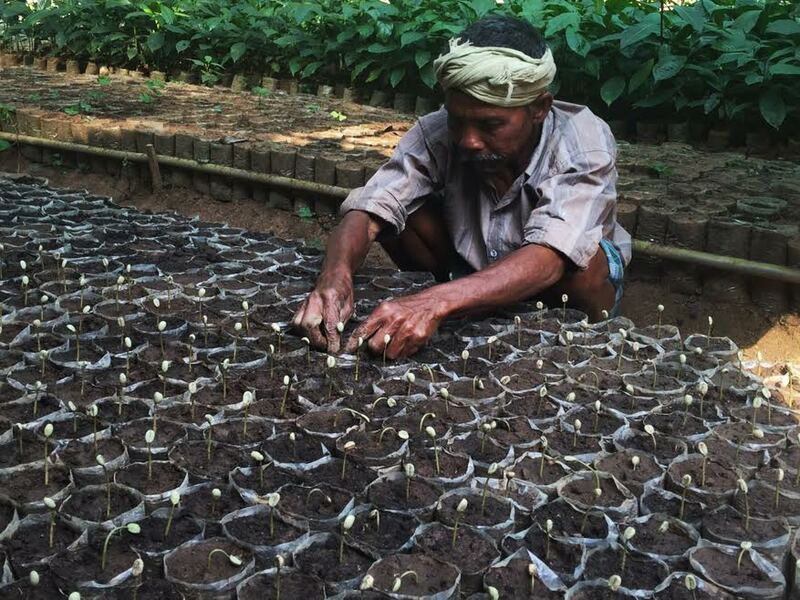 In a market where most coffee brands buy from a variety of plantations and have little control on planting methods, Flying Squirrel takes ownership of every cup. They sell 7 types of coffee, all distinct, unique brews, as well as coffee brewing kits, taster packs, and brewing equipment. We interviewed the founders Tej Thammaiah and Ashish D’abreo, who gave us a look into what makes their beans stand out. Give us a broad overview of your outfit and the coffee you brew. Flying Squirrel began in late 2013 to make remarkable coffee from Tej’s (our co-founder) farm in Coorg. We wanted the coffee to be more accessible to friends and family across cities. Coffee found on supermarket shelves is roasted anywhere between a month to a whopping 6 months ago, making it inherently stale. At The Flying Squirrel, though it may seem an exaggeration, we know where literally every bean of our coffee comes from. Almost all our coffee is micro-lot, ‘handcrafted’, and taken through uniquely creative, natural processes to make it taste and smell exactly the way it does. How is your coffee and methods of roasting or harvesting different from a typical Indian outfit? We grow some of our coffee beans in the midst of citrus, vanilla, or spice plantations to give it those subtle nuances in the cup. Other lots are grown in heavily forested areas of our estates, while some coffee is grown in the shade of banana plantations. Some of our coffee is even grown wild, depending on final flavour. For variation, batches of our harvest are processed naturally, with skin and pulp on, drying out in the gorgeous Kodagu (Coorg) sunshine. 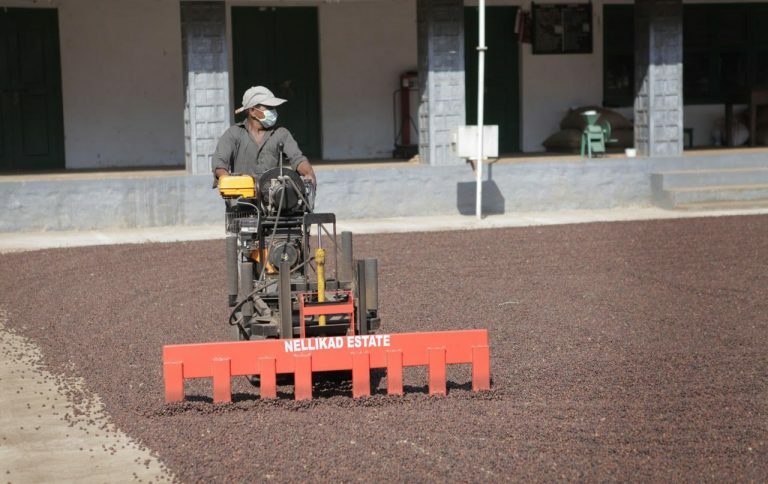 For other batches, we use the method of pulp sun drying – leaving a bit of the fruity pulp on, and then fermenting it for a bit before drying it out in brick yards. For a milder, nuanced cup we wash the beans off the pulp and then dry it out naturally. Certain variants, like the Clouds In My Coffee, require more effort. For this, our beans take a 2-month vacation to coastal Karnataka, where they live by the sea to soak in some moist sea air. This gives the beans a sought-after, exceptionally unique flavour profile. Every step of their coffee production is controlled by Flying Squirrel. What do you expect to evolve into in terms of a business? We just grow, process, roast, grind and deliver damn good coffee in an artisanal manner to coffee loving folk all over India. We’d like to become known as India’s largest only artisan coffee brand, we’d like to expand outwards to concept cafes across India. We believe this will make the best Indian coffee accessible to the world. Where can we find your coffee in Mumbai? Online of course (we deliver to Mumbai and the rest of the country), but also at A Saluti in Pali Hill and Neelam Foodlands in Khar. What do you think is the best way to tell good coffee from bad? A good cup of coffee has a balanced flavour, a fresh roast, and perkiness of the cup. Balance of flavour is all about the perfect equilibrium between acidity, sweetness, bitterness, and fruitiness. All coffees should not have the exact same proportions of each of these characteristics, but each element ought to balance out a combination of the others perfectly. Since roasted coffee is a perishable commodity and it is at its best about 30 days from the date of roast after which it begins to die. To check whether your coffee is freshly roasted, try a spoonful of coffee powder in a cup, and add a small quantity of hot water to it. If the coffee ‘blooms’ (bubbles up, like when you pour fizzy cola into a glass), your coffee is freshly roasted. Third, perkiness of the cup – one should look for interesting flavours – bright or subtle – in a cup of coffee. Simply appreciating ‘strong’ or ‘bold’ coffee is not doing justice to artisan coffee. Pick your favourite blend from your collection and tell us what you enjoy about it? We have a team of coffee drinkers, all of us highly opinionated about our preferences. Some like the berry-laced nuttiness of our organic Sattva, others enjoy the beautiful chocolatey-caramel notes of Parama, or even the full-bodied fruitiness of Sunkissed. Getting us to agree on one favourite is a toughie, but I think every time a batch of freshly cold-brewed Clouds In My Coffee is passed around, the incidence of gooey-eyed sighs from all of us is very high. So if we had-to-had-to pick a favourite, this would be it. Flying Squirrel coffee, brewing kits, is available on their website.